Today, most people know what probiotics are and many of us incorporate them into our daily diet. But that is only half the story when it comes to taking care of your gut & your health. No one ever talks about prebiotics! 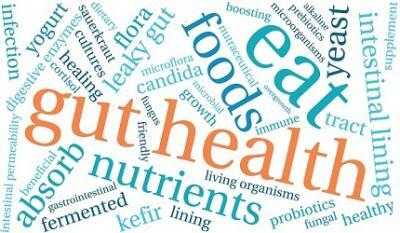 No one knows that they are just as important as probiotics! 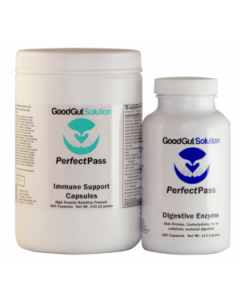 No one knows the valuable prebiotic and probiotic connection! Your gut microbiome is made up of trillions of bacteria, fungi & other microbes. The gut microbiome plays a very important role in your health by helping control digestion and benefiting your immune system and many other aspects of health. A fact that I only learnt about the other day from WedMD…is that the mucous lining your gut wall contains 70% of the cells that make up your entire immune system. This means health issues such as allergies, asthma, arthritis, cancer and most autoimmune diseases, including irritable bowel syndrome (IBS), acne and chronic fatigue are most probably be gut related. And because your gut is connected to your brain through the gut-brain axis, whatever affects your gastrointestinal tract also affects your brain. Mood disorders like anxiety, depression, autism & dementia, have also been scientifically linked to digestive issues. They say our guts contain 500 species and three pounds of bacteria. And, according to studies, we have more than 10 times the amount of bacterial cells in our body than actual human cells. When our delicate microbiome is disturbed by stress, poor diet, medications & toxins, it can result in a lowered immune response disease. 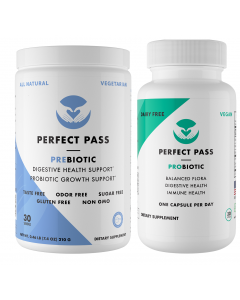 This is where prebiotics & probiotics work their magic together! 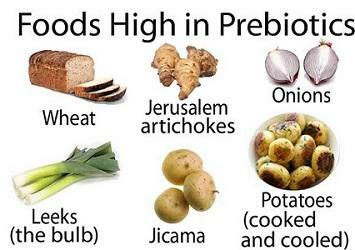 Prebiotics increase the diversity of your good bacteria – just what you want to keep your gut healthy. While all prebiotics are fiber, not all fiber has the same beneficial effects on friendly bacteria. And just like other fibrous foods, prebiotics are not digested as they go through your upper digestive track. They need to be fermented or broken down by microflora in your colon. 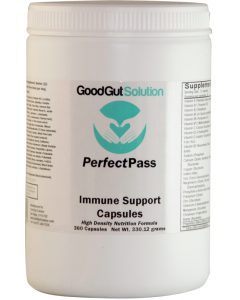 In order to correct the dysbiosis (high ratio of bad bacteria in the gut) and heal the inflammation that leads to IBS, crohn’s, colitis, pouchitis, SIBO, leaky gut and more you must create a diverse, healthy ratio of good bacteria. 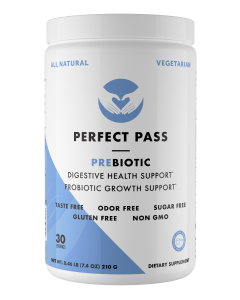 Prebiotics travel through your digestive system, they become nutrient sources that feed beneficial bacteria that play a crucial role in immunity. 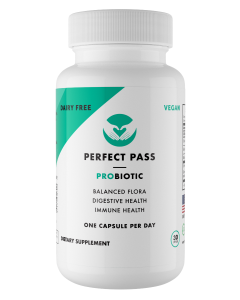 What everyone needs to know…is that we all need sufficient prebiotics in order for our probiotics to survive and do their job properly! When it comes to probiotics, there are between 500 and 1000 strains of microorganisms in the average persons intestinal tract. 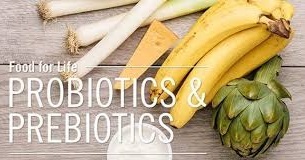 We now know that typical probiotic supplements that contain Lactobacillus and Bifidobacteria do not create better diversity, and do not survive stomach acids and digestion in sufficient numbers. The truth is, 90 per cent of all yogurts you buy at the store are useless and are likely even worsening the state of your gut, since harmful bacteria thrive on sugar and carbohydrates. 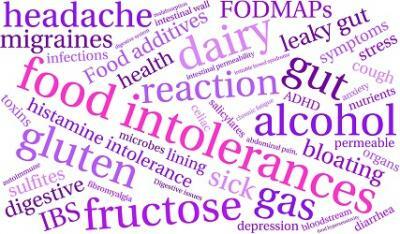 Left unchecked, the situation can eventually lead to such things as leaky gut, inflammation as well as toxic overload. For anyone trying to lose weight, excessive bacteria in your gut also affects fat-regulating hormones like insulin, which further causes you to crave more junk food and makes it harder to lose weight. Trying to rebuild the flora in an unhealthy gut, is something that can be done. Don’t take any unnecessary medications, especially antibiotics. Today, these potentially life-saving drugs are prescribed too easily. If you must take them, always take probiotics to restore the healthy bacteria antibiotics kill. Good source probiotics are cultured or fermented foods, including organic, raw, whole milk, plain yogurt and kefir (pasteurized at relatively low temperatures), as well as kombucha, kimchi or other fermented vegetables. 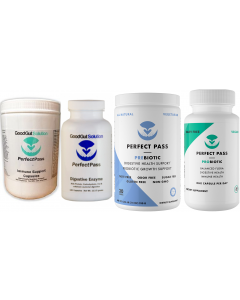 You can also take a good probiotic supplement with a variety of different bacteria strains at high counts (50 billion is good). Stay away from processed foods, sugar, preservatives and alcohol. Make sure to add good prebiotic sources to your diet as well, such as onions, garlic and even under-ripe bananas. 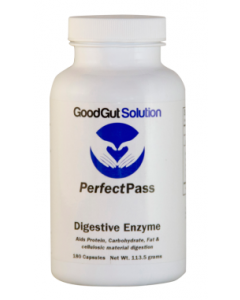 As your gut environment improves you will quickly find you have more energy, look healthier and your health issues will begin to improve or even disappear.